NEWARK, NJ — Mr. Wolfe is the Managing Partner in the Property Tax Department at Skoloff & Wolfe, PC, where he focuses his practice on representing taxpayers in significant real estate tax appeals and property tax related matters. He has extensive experience in all types of property tax appeals, including hotel, multi-family, retail, office, and industrial properties. Mr. Wolfe frequently counsels clients on the property tax implications of the development, acquisition, and disposition of significant assets. He also counsels clients with respect to property tax exemptions and PILOT agreements. 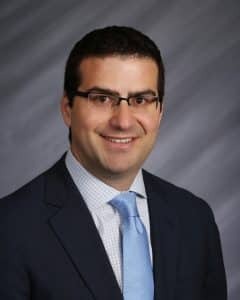 Mr. Wolfe serves on the Board of the National Association of Property Tax Attorneys (NAPTA) and as the Co-Chair of the Real Property Tax Practice Committee of the New Jersey State Bar Association. Below, we connected with David in anticipation of CapRE’s New Jersey Apartment Summit to learn more about the JC revaluation as well as his latest activity. CapRE: Thanks for chatting with us today David. We know you’ve been busy lately. What has been on your plate? Wolfe: I focus my practice primarily on issues related to property taxes. So there are property tax appeals and due diligence. I’ve bene doing a lot of work in the gold coast. The Jersey City revaluation, which many people were waiting on for years, has finally come to fruition and that’s finally removed some of the uncertainty from the market. I’m both working on deals in that market and appealing for properties in that market. I think that we’ll now start seeing more deals come to the market in Jersey City now that that uncertainty has been removed. And that will be across sectors. You’ll see it in multi-family, but I wouldn’t be surprised if you see it in office and retail. CapRE: What was the most surprising consequence of the revaluation? Wolfe: Well one unexpectedly positive result was that the effective tax rate actually came down about 12%. So that although the assessed values were higher than we expected and we’re challenging them, we did not experience the worst-case scenario, which would have been a significant increase in both the tax rate and assessments. CapRE: So what do you think Jersey City developers should know about the revaluation moving forward? Wolfe: The market should be aware that the assessed values, as published, are likely not going to be the final tax levels. We have successfully reduced many assessments for our clients, so that you really need to get a good sense of where the ultimate assessments on a property may land and where it can be reduced to, to get a reasonable sense on where the basis should be. You shouldn’t just rely on the number the revaluation firm came up with and where the assessment is. Because there are a lot of assessments that came out that simply were not supportable. CapRE: How would you characterize the market at this point in time? Wolfe: One thing I’ve been seeing, and which I think you’ll hear as a them on our panel on Thursday, is a significant increase in deal volume in multi-family in the kind of third, fourth quarter period, as compared to the beginning of the year. whether that is because people are bringing their properties to market because they are concerned about interest rate creeping up, or if it’s the elimination of uncertainty, I think there are a confluence of factors that are bringing deals back onto the market. CapRE: What are you hearing from clients? What are they concerned about? Wolfe: Our clients are more and more concerned about annual reassessment and more and more uncertainty and as more jurisdictions more toward annual reassessments, It becomes very difficult to underwrite deals. So we are starting to see towns like Bergen and Somerset and now Middlesex, Monmouth County, doing annual reassessment. They’re becoming more prevalent. And the increase in uncertainty leads to more challenges in underwriting. This means more diligence related to property tax. And another concern is that municipalities are filing appeals to increase taxes. This was historically prevalent in Pennsylvania and not so much New Jersey, but it is becoming more commonplace in New Jersey now. That is a common concern for property owners right now. CapRE: What about on the flip side – where is there more smooth sailing? Wolfe: Generally, the attitude is that the multi-family market is quite strong. The fundamentals are quite strong. They’re still seeing some rent depreciation and they’re seeing healthy funds enter not only the Gold Coast but also suburban markets. I’m also seeing a lot of exciting new developments in markets that might be slightly behind the cycle, like Newark, which haven’t seen so much development as areas like Jersey City or Hoboken. And this makes the selection of Newark for the Summit quite timely. So people are looking for the next wave – the next place to develop. We are seeing that in places like Harrison and other markets as well. CapRE: And how about on a broader scale? How are national trends impacting New Jersey? For example, Republicans in the House unveiled another tax plan this morning. Wolfe: It’s no secret that the last tax overhaul did not treat New Jersey particularly well. So I think that, in general, that has had a negative impact on real estate values probably more in the single family homes, but ultimately, not being able to make significant discussion and having caps has to have an overall impact that will trickle down into our real estate values across the board. If it further compounds that situation, it will not be positively received here in New Jersey. CapRE: What do you think people will want to talk or hear about at the New Jersey Apartment Summit? Wolfe: People are always interested in who the buyers are and what is happening with cap rates. There will be a lot of discussion on the fact that we’re seeing slightly less institutional activity in New Jersey and more private funds and private buyers, even on some of the larger assets. And I think you’ll start to hear some discussion that as interest rates are rising, we are actually seeing the impact on trade now. And that will be a trend that continues into 2019.